The smaller and more powerful an electronic device becomes, the more damage can be caused from its inherent heat. Designers are continuously looking for ways to keep components cool while maintaining the quality and integrity of performance. Knowing where to start troubleshooting is the first step in the process. One of the most ideal ways to find device hot spots is using infrared cameras. Thermal imaging with infrared cameras offers a non-contact testing platform with instantaneous results. 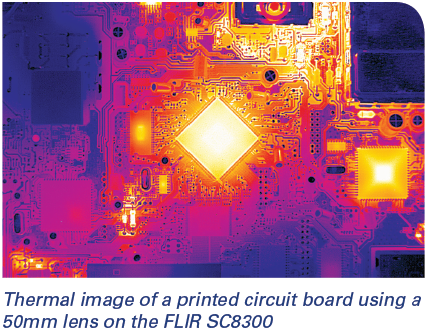 Download the full application note for more on how the FLIR A6700 Thermal Camera is used in thermal management and can contribute to advancements in circuit board design.